Marcelo Peruzzo is currently CEO of IPDOIS neurobusiness. He advised the last 20 years of neuromarketing, market research, marketing and sales for companies such as Pepsico, O Boticário, Hilton, Petrobras, Givaudan, Nextel, Hsbc, Thyssenkrupp etc... He is the author of several books, with emphasis on behavioral book "The Thinking Leader - The Thinker commands! The processor obeys!" 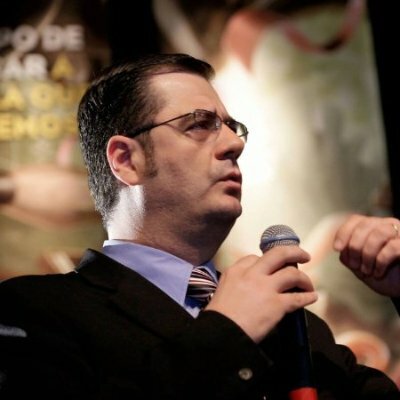 Peruzzo is a master in business management and marketing from UFSC (Federal University of Santa Catarina / Brazil), and MBA in Marketing from FAE Business School. Professor in the MBA programs of the Getulio Vargas Foundation Management. FGV is among top 150 institutions of higher education in the world, according to ranking published by The New York Times. Peruzzo have on your resume more than 400 lectures and classes of MBA. In January 2011, Peruzzo won the honor roll at FGV Management, as the only teacher from Brazil to win five consecutive times the award for best teacher of marketing and sales of MBA programs in Business Management, Marketing, Leadership and Resources human. His studies of neuromarketing has gained great repercussions in Latin America, mainly in research and development, with expertise in measuring emotional fragrances together using integrated techniques such as EEG, Face Reading, skin conductance, heart rate and Eye Tracking. Peruzzo stands for professional and academic experience, linking theory to practice, so innovative, always with the purpose of breaking new paradigms.